The outer areas of your property are constantly facing off against a large number of foes. Outer walls – and especially your roof – are always going up against the elements. 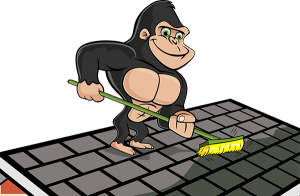 When you begin to notice clutter building up along the surface of your roof, call a Gorilla to clear it away. A proper Grimsby roof cleaning and moss removal can help extend the lifespan of your roof. What Is Cluttering Up Your Roof? In a nature-rich environment like Grimsby, there are a ton of different materials that can take up space on your roof. One strong wind can dislodge sticks, leaves and even branches, depositing them along the surface of your roof. It might seem reasonable to have a bit of debris on your roof but over time it just keeps building higher and higher. This mountain of debris is not only an eyesore but can lead to structural damage of your roof as well. Organic debris holds on to moisture and holds it, resting along the materials of your roof. When this moisture is left it can pave the way for moss growth. If you property is located in a shady area or surrounded by trees, the rate of growth of moss can range from slow moving to rapid fire. Once moss begins to grow, it can spread around and under shingles, damaging the decking and materials of the roof itself. As materials are softened, they can wear away creating weak spots for leaks, or even open access to the interior of your property. Save yourself the trouble – and cost – of a large project by making your Grimsby roof cleaning and moss removal part of your routine. Removing clutter from your roof might seem simple but it can be far from it. The first step is getting up to the roof itself, which can be tricky and dangerous without the right experience. Instead of simply pushing debris off of your roof and into your yard, our Gorillas make sure that it is taken away properly. 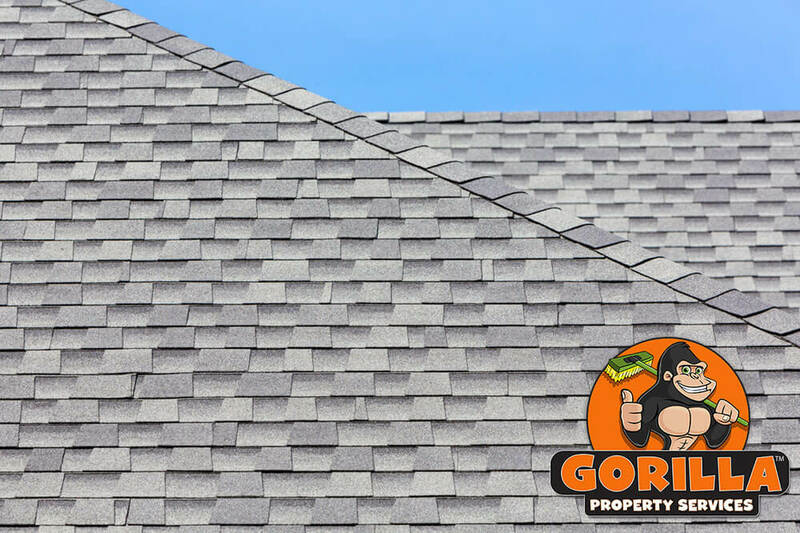 Once that clutter is dealt with, our Gorillas have a clear view of your roof’s surface. If moss is present our Gorillas handle the problem delicately so as not to cause any damage to your space.